Azerbaijan is an ancient country with a very modern currency. The manat was the first (or second depending on who you ask) independent currency in a modern Muslim state, but was quickly replaced by the ruble. It made a comeback in the 90’s and was revalued in 2005 to reflect the country’s amazing economic growth. Low oil prices may mean a hard time for Azerbaijan, but agressive tactics to attract foreign investment are boosting the economy of this strategically located independent Republic. AZN symbols: m. or man. In 1918, the Transcaucasian Commissariat (an independent government of Georgia, Armenia and Azerbaijan which formed after the October Revolution in Russia) issued the Transcaucasian Commissariat Ruble. However the ruble, like the Transcaucasian Commissariat itself, was short lived. The first manat was issued between 1919 and 1923 by the Azerbaijan Democratic Republic which became the Azerbaijani Soviet Socialist Republic. Both the local Azeri language and Russian were printed on the notes. In Russian, the manat was simply called the ruble. In 1924 the Soviet ruble became the currency of Azerbaijan. It remained the Azerbaijani currency until the country gained independence in 1992, when the manat replaced the ruble at a value of 10 rubles to 1 manat. Qəpik coins fell out of use in 1993 due to high inflation. This second manat was replaced in 2006 by the third manat which was redenominated at a higher value, which also paved the way for the return of qəpik coins. In the early 2000’s until 2005 the manat fluctuated between a value of 4770 AZN and 4990 AZN to 1 USD. Increased oil prices, and greater production in Azerbaijan led to an influx of petrodollars increasing the value of the manat to AZN 4591 to 1 USD by the end of 2005. 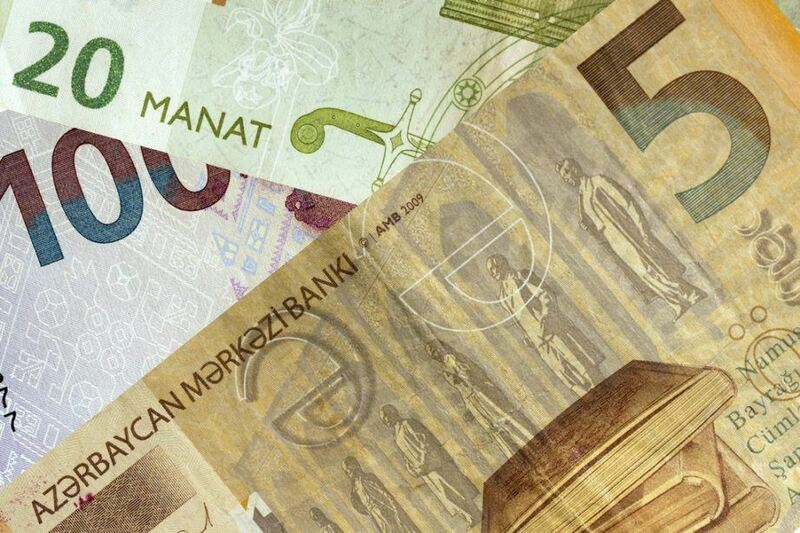 In 2006 the old manat was replaced by the third manat at a value of 5,000 to 1. Between 2011 and 2015 the manat was valued in a tight band of between 1.271 USD and 1.276 USD, but fell to a value of about 0.95 USD throughout 2015, before falling further to around 0.63 USD. The fall in the value of the manat mirrors the fall in oil prices. The current coins entered circulation in 2006 and come in values of 1, 3 ,5, 10, 20 and 50. All notes currently in circulation come from 2006. Historically Azerbaijan was the most industrialised Transcaucasian country, beating out neighboring Georgia and Armenia, but also heavily reliant on the oil industry. After independence from the Soviet Union Azerbaijan became an independent republic and transitioned into an oil based economy. Privatisation reforms were also instituted and in 2001 the Ministry of Economic Development of Azerbaijan took control of the country’s economy. Industry (dominated by oil) makes up 61% of Azerbaijan’s GDP, agriculture makes up just nearly 6%, and services make us just over 33%. Western oil companies were able to reach deepwater oil fields in the Caspian Sea that the Soviets were unable to exploit due to inferior technology, leading to an economic boom in the early 2000s. Combined with economic liberalism this resulted in huge growth. The economy grew 27% in 2005 and 35% in 2006 but began to taper off towards the end of the decade, ending 2010 with just over 9% growth. By 2011, in part due to global financial crisis, GDP growth fell to just 0.1%. Azerbaijan is still rich in oil and occupies a geopolitically important position in the Caucasus, between the Middle East and Russia, allowing it to capitalise on oil pipelines. The global decline in oil prices has taken a toll on the economy, and on the manat. Gas and oil will continue to be a crucial part of Azerbaijan’s infrastructure but the boom days of the mid 2000s are long gone. 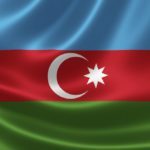 Azerbaijan is working to diversify its economy and seek foreign investment to balance out its reliance on oil and gas. As of 2014, the Republic had the highest investment per capita of any member of the CIS (Commonwealth of Independent States – a regional organisation of former Soviet States which includes Russia). Well it’s clear that Azerbaijan remains dependent on oil, increased investment should help to alleviate the stress of low prices. Learn more about Azerbaijan with our Profile and Travel Guide!